Halak, Miklos and Medve, Mark shared first with 6/7-well done to both. Halak continues to lead with 5/5. Medve handed IM To his second straight loss and is now in clear second with 4.5/5. 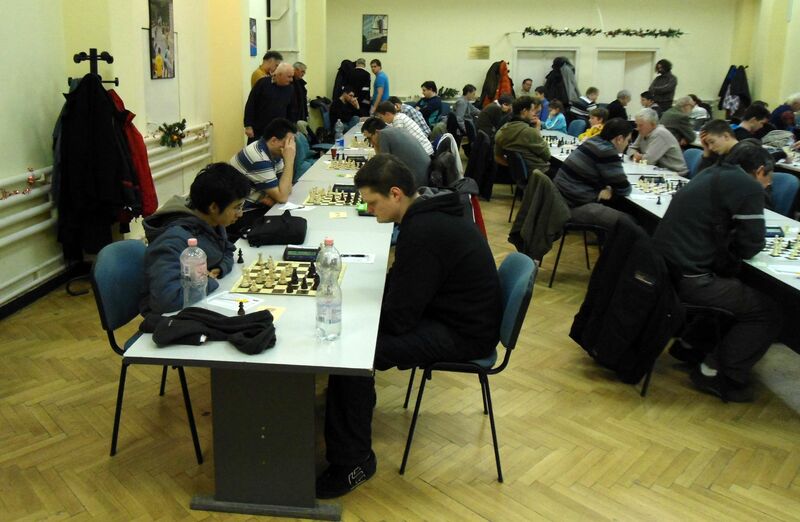 I won my round 4 game and converted my promising position against Cserba,A(2132) into a draw. The big surprise was the second consecutive loss by IM To, who lost to rising Medve,Mark. Miklos continues to be the big story and won again to keep first place with 5/5. This is tough tournament to end the year with. I am seeded #20 with my modest 2007 rating. I’ve seen most of the players over the last few years but there were some fresh new faces. 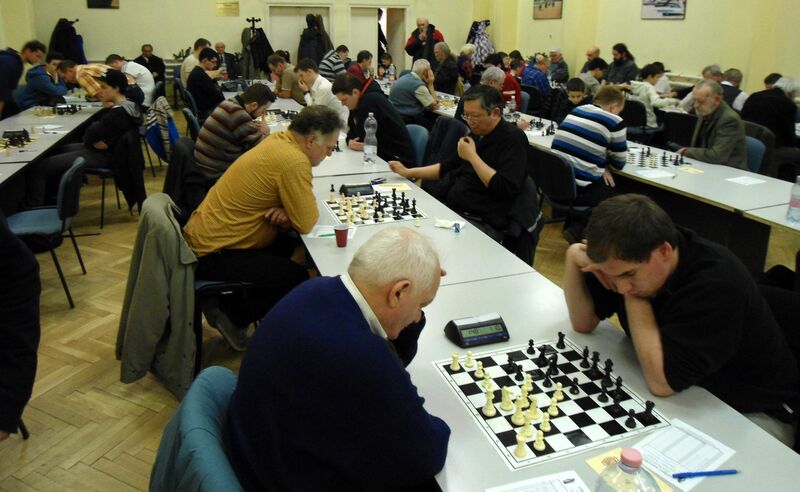 The entry net of my club discount was a modest 12.4CAN(11.6USD/8.4EUR) for 7 rds of FIDE rated chess(game/120). As usual this is a typical bargain in Budapest. I started off with a routine win in rd1 and then drew the #2 seed Pasalic,H(2272) with black. This put in a good mood and but in rd3 I lost with white against Bodi,Tibor(2105) after playing the opening inaccurately against the Leningrad Dutch. 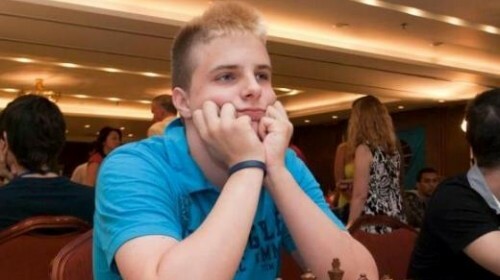 Kiss,Peter won his rd3 game as I was playing move 6-not sure how but he had a big smile. 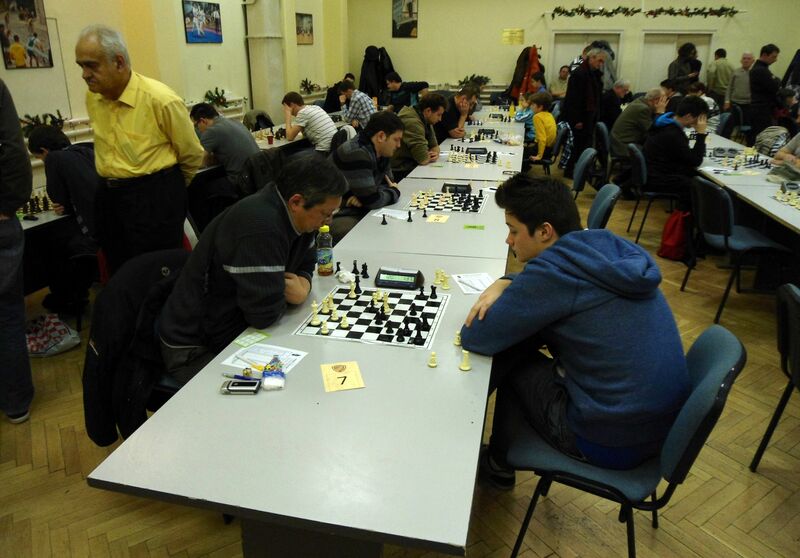 Here are some pictures taken by Thomast Heyl(GER), a frequent visitor to the Budapest chess scene. IM To-Nagy Aron(2132) in Rd3. FM Krstulovic,Alex has 3/5. Go Alex!! Juhasz has 3.5/5. Go Barbara! Juhasz won again and is tied for the lead with 2/2. FM Krstulovic, Alex won against an 1100-ish opponent. Go Alex! GM Richard Rapport won the European Rapid Chess Championship 2013 that was held on 14-15th December at The Palace of Culture and Science in Warsaw, Poland. I was switched to RAC I at the last moment and contributed a win with black.